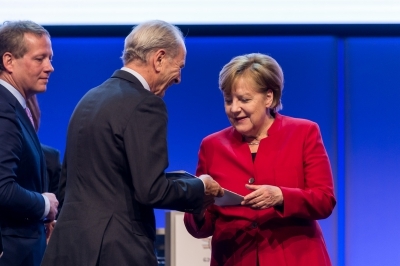 On May 2-3, 2017, B20 concluding summit under the German presidency took place in Berlin, where Chancellor Merkel on behalf of G20 leaders received the final B20 recommendations. The B20 policy recommendations paid a great attention to the infrastructure development and investment. Lack of infrastructure facilities represents one of the greatest obstacles to the economic growth and social development worldwide. The G20 states were called to incentive investment in sustainable infrastructure. There is a great need to channel investment to future-oriented, responsible and resilient infrastructure projects. the need to improve the stability and reliability of the legal and regulatory environment. Eugene Zhuchenko, Executive Director LTIIA, took part in the Summit and has been contributing to the B20 Task Force on Financing Growth and Infrastructure (FGI) since its formation under the German presidency. LTIIA helped shaping the Taskforce recommendations regarding establishment of infrastructure benchmarks and harmonization of metrics for managing climate related risks. We will continue working with relevant executive bodies on implementing those recommendations. You may download the final FGI Policy Paper below and also check the B20 Germany website for more information.